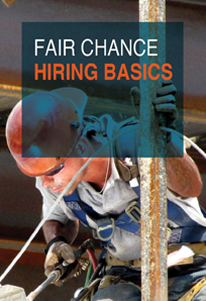 Click here to read the Fair Chance Hiring Ordinance. The City’s Equal Employment/Fair Housing Office is responsible for educating employers and residents about the Fair Chance Hiring Ordinance, adopting rules to implement the ordinance, and receiving and investigating complaints alleging Fair Chance Hiring violations. Click here to file a Fair Chance Hiring Complaint. Click here to view answers to Fair Chance Hiring frequently asked questions. View the 1 minute Fair Chance Hiring Ordinance video. View the 2 minute PSA on Fair Chance Hiring. Due to poor employment prospects of people with criminal records, our 2014 GDP was reduced by $78 to $87 billion.